Galanda Broadman has been named "Boutique - Gaming Law Firm of the Year in Washington" by Global Law Experts. The award follows several recent honors for Galanda Broadman and its lawyers. 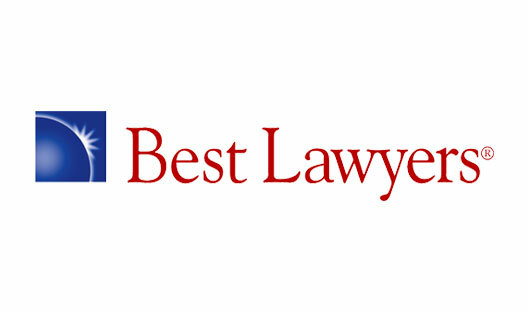 Galanda Broadman recently received a prestigious Tier 1 ranking in the 2013 Edition of U.S. News – Best Lawyers “Best Law Firms,” in the arena of Native American Law. Gabe Galanda was also just named to The Best Lawyers in America in the practice areas of both Gaming Law and Native American Law, for the eighth straight year. He was named a “Difference Maker” by the American Bar Association in November as well. Also, Gabe and Anthony Broadman, as well as firm associate, Ryan Dreveskracht were each honored by Super Lawyers magazine for 2013; Gabe as a Washington "Super Lawyer" and Anthony and Ryan as "Rising Stars." In December 2012, Lawyers of Color listed the firm in its Big Book of the Best Boutiques, an exclusive, national listing of the top minority law firms in each state. In January 2013, Seattle Business Magazine honored Gabe as one of “the Puget Sound Region’s Best Lawyers for 2013,” in both the arenas of Native American Law and Gaming Law. Last year Corporate INTL magazine named Galanda Broadman as the Boutique winner of the 2013 Corporate Intl Magazine Legal Award for "Gaming Law Firm of the Year in Washington." Galanda Broadman, “An Indian Country Law Firm,” is dedicated to advancing tribal legal rights and Indian business interests. The firm, with offices in Seattle, Washington and Bend, Oregon, represents tribal governments, businesses and members in critical litigation, business and regulatory matters, especially in matters of Indian Treaty rights, tribal sovereignty and taxation. Gabe is an enrolled member of the Round Valley Indian Tribes of California. He currently sits on the National Native American Bar Association (NNABA) Board of Directors, chairing the group’s “Include Indian Law on State Bar Exams” Initiative, and co-chairing its “Increase Natives and Tribal Court Judges in the Judiciary” Initiative. Gabe is a past President of the Northwest Indian Bar Association and past Chair of the Washington State Bar Association (WSBA) Indian Law Section. Anthony is the immediate past Chair of the WSBA Administrative Law Section, and author of “Administrative Law in Washington Indian Country.” In September 2012, Anthony was specially honored for his outstanding service as Chair of the Administrative Law Section. He is a former Trustee of the WSBA Indian Law Section, and also serves as Editor-in-Chief of the Section’s Indian Law Newsletter. Prior to joining Galanda Broadman, Ryan was a law clerk to the Honorable Kathleen Kay, in the U.S. District Court for the Western District of Louisiana. Ryan has published ten journal and law review articles in 2011-12 alone, on issues like tribal renewable energy, and has served as the Managing Editor for the National Lawyer’s Guild Review since 2010.